Move over Priyanka Chopra, there’s a new Indian American on the country’s most coveted billboard. 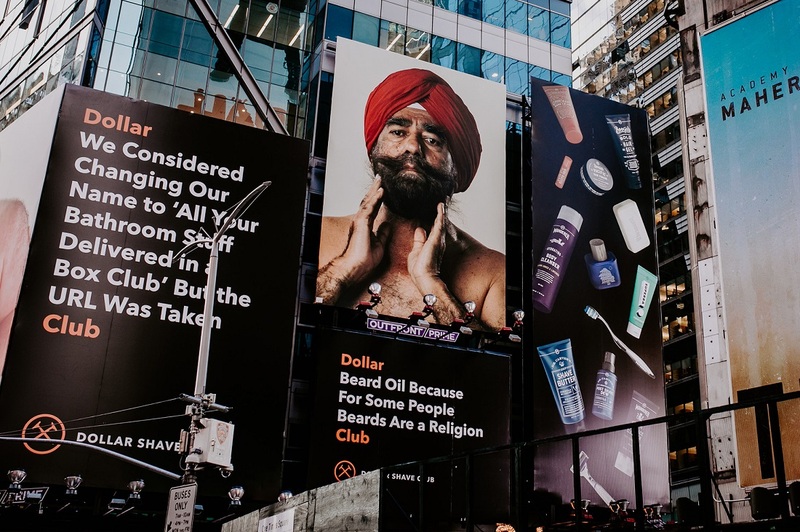 If you have been driving across Times Square in the past few days, you may have come across a huge billboard featuring a turbaned Sikh elderly gentleman. But in case you haven’t seen it and happen to be in New York City, then waste no time and go click a selfie with this unusual model, making Sikhs and Indian Americans proud. Northridge, California, resident Pritam Singh is proudly adorning the billboards for Dollar Shave Club, a California-based company popularly dealing in shaving and grooming products. The 74-year-old Singh appears in the company’s new commercial for beard oil, a unique product targeting men who like to keep their facial hair. Apart from choosing a relatively less represented minority group in America, the company has also shown inclusivity. The Dollar Shave Club has attempted to engage an audience that may not be its clientele for shaving products. By launching a product that may appeal to Sikhs, many of whom follow their religious belief of keeping facial hair, and presenting a Sikh model, the company has definitely piqued interest. While for any model it is a major moment to be seen on the billboards in the iconic Times Square area, for Singh, it was a moment of complete disbelief. Interestingly, Singh, who has been an actor and has been a part of Screen Actors Guild for many years, shot for the commercial in Universal City, Calif., sometime ago, was completely unaware that his portrait shot would be put up at Times Square. “I was informed about this by a friend who lives in NYC and was passing by Times Square,” he told the American Bazaar. Talking about the commercial, Singh said he, along with his son Amandeep Singh, who is also an actor, was selected for the shoot after a few auditions. The father-son duo shot a few portraits for their beard-oil and are hopeful that more of these shots would be released by the company. And even though this may be Pritam Singh’s first major modelling moment, he has been a part of a few memorable movies too, albeit in small roles. In Will Smith starrer Hancock (2008), he played the part of a liquor shop owner who is talking to Smith in a scene. He has also played small parts in Sleeper Cell, Princess Diaries, Spider Man and Naked Gun besides shows such as Seinfeld, ER and Masked along with many commercials. Singh came to America from Patiala in India back in 1983. After initial years of struggle, he set up a real estate business. He ventured into acting not just as a personal passion but because he was disappointed by the meager Sikh representation in the American mainstream. 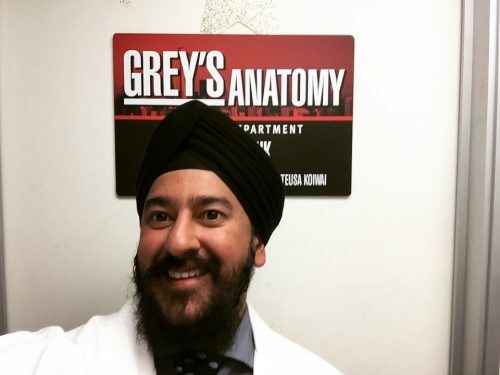 His son, Amandeep, who is an aspiring actor and has appeared in an episode of Grey’s Anatomy, says, “It is gratifying to see my dad on the iconic billboard. It is as if his dream to see Sikh representation is finally realizing. Amandeep aspires to be in Hollywood himself and goes by the Instagram name of “That Hollywood Sikh.” He laughs, “My friends have started calling me as the Sikh in Hollywood.” He was also featured in commercials for Bank of America, Walmart, Samsung and Wells Fargo. He is currently working on a pilot where the central character is a Sikh played by him and hopes his project will be on a national broadcast someday. But for now, the father-son duo are busy receiving calls from friends, relatives and acquaintances about the big break in big city! Slow and tteady wins the race. Days are not far off when Sikhs will find their due representation in every field.